With the coming of spring and the melting of the snow, it reveals more of the branches and limbs broken in the Ice Storm. We will all be cleaning up for awhile. At the church, we are hoping to get your help as we plan to tackle some of the clean up around the church, as well as other yard work and repairs. A property clean up day is planned for Saturday, April 12th from 9am to noon. I hope you are able to come and give a hand. 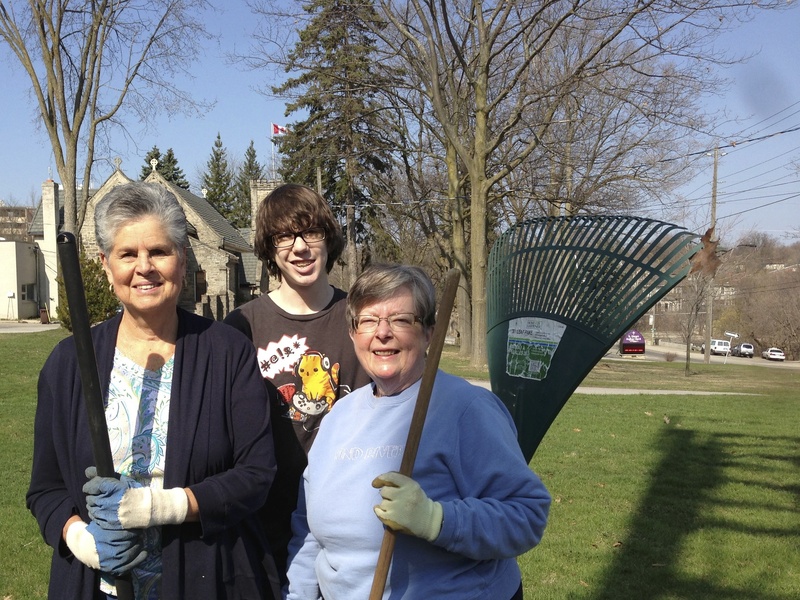 St. George’s is also planning to help out with cleaning up, with other churches and with others from the town as part of their Halton Hills Clean Up Day, on Saturday April 26th . This is an event planned as an extension to the local christian church run “Community Unity” clean up days that helps seniors, people who are ill, or in cancer treatment with basic yard clean up, which will obviously include plenty of branches downed by the winters storm. As in the past, teams of four will be sent out to attend to the yards of two or three home on the morning of that Saturday. I am hoping that St. George’s will be able to put together a few teams to help our neighbours.